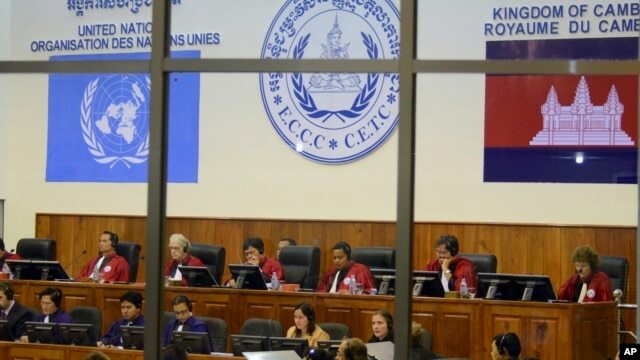 File photo of the Extraordinary Chambers in the Courts of Cambodia, court officers of the U.N.-backed war crimes tribunal are seen through windows during a hearing of former Khmer Rouge top leaders in Phnom Penh, file photo. ODDAR MEANCHEY, CAMBODIA —Former Khmer Rouge leaders who are suspects in two cases before the UN-backed tribunal remain defiant, refusing to appear at the court as summoned.In interviews with VOA Khmer, three suspects, Meas Muth, Ta An and Im Chaem, denied the atrocity crimes charges made against them. A fourth, Yim Tith, declined to be interviewed. All suspects were named by an international judge at the Khmer Rouge tribunal in cases 003 and 004, though they have never been arrested by Cambodian authorities nor formally indicted. 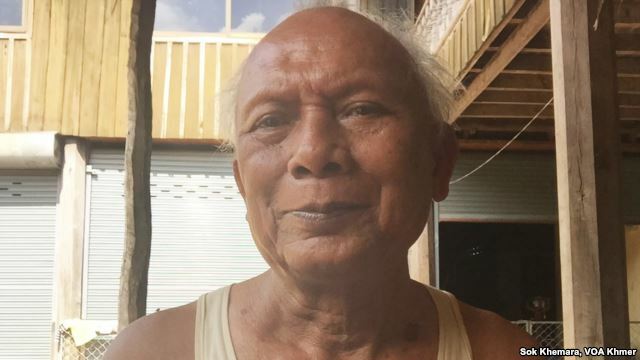 That means the court has only successfully tried one suspect since 2006, the former supervisor of Tuol Sleng prison, Kaing Kek Iev. 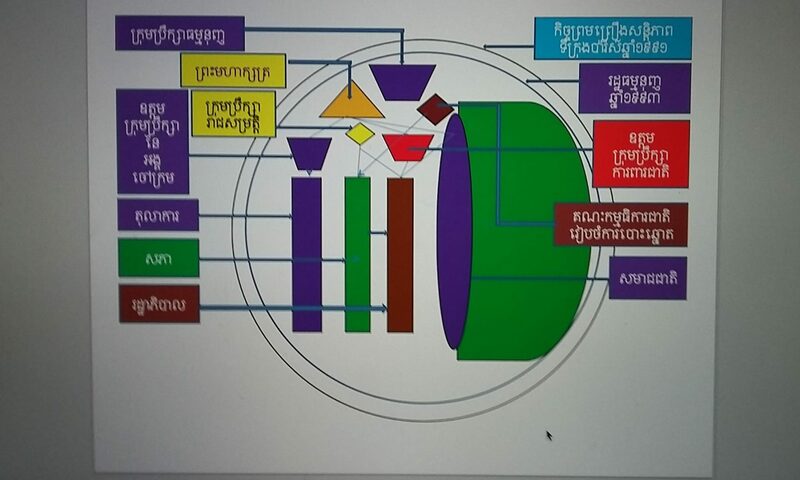 Two more suspects, senior leaders Nuon Chea and Khieu Samphan, are currently in the second and final stage of their trial at the court. The remaining suspects say they will not cooperate with the court, casting doubt on whether they will ever be tried. 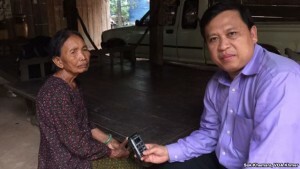 Im Chaem, the former Khmer Rouge secretary of Preah Net Preah district, Northwest Zone, is accused of “murder, extermination, enslavement, imprisonment, persecution on political grounds, and other inhumane acts” at a security center and worksite. 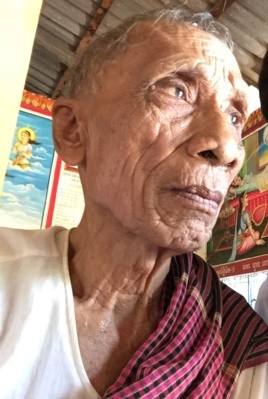 In a brief interview at his home in Samlot district, Battambang province, Meas Muth, a former Khmer Rouge naval military commander accused of grave atrocity crimes, said he would go to the court under the right circumstances. 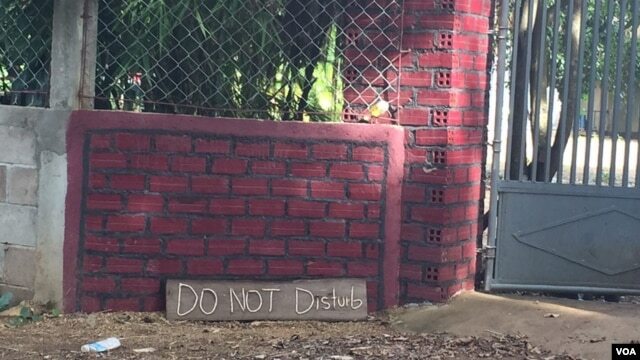 Outside his home is a sign in English, “Do Not Disturb,” which he said his son hung up. Meas Muth said he no longer comments to the media. His wife, meanwhile, chases journalists away. Yim Tith, who is accused of atrocity crimes in the Northwest, declined to be interviewed. Neighbors say he has health problems, poor hearing and likely Alzheimer’s. His wife has passed away, and his daughter is married. He practices Buddhism. If the government, where he has integrated, says he is guilty, he welcomes that, but it “depends” on them, he said. Mao Chandara, director of judicial police at the tribunal, said authorities must weigh the reaction of the people to arrests. If it does harm to society, the police can reject the arrest proposal. “It is under study,” he said. Since naming the suspects and seeing the failure of uthorities to arrest them, Judge Harmon has resigned, for what he says are personal reasons. His replacement, Michael Bohlander, of Germany, has already taken up his work, tribunal officials said.